“Sooner or later the clashing of arms will be heard in this country and the black man’s services will be needed”(1). This prediction, made by John Rock in 1858, foreshadowed not only the Civil War, but also the call for African American soldiers. Volunteers formed approximately 175 regiments of over 178,000 men, bolstering the Union forces at a critical time. By the war’s end Black freedom fighters constituted about one-tenth of all Union troops (2). 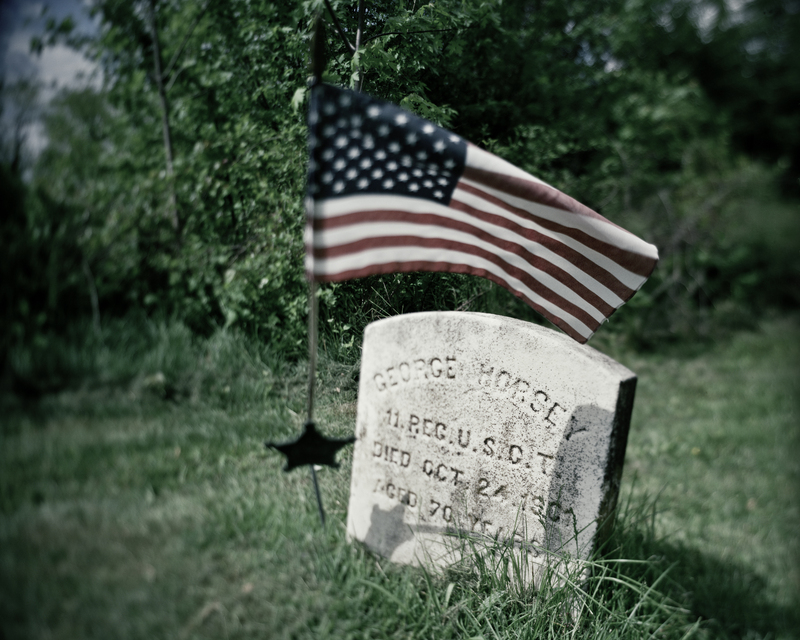 Black Civil War veterans are buried at Spencer Union American Methodist Episcopal (UAME) Church, Woodstown, NJ, and several other African American cemeteries, including Mt. Pisgah in Elsinboro, also in Salem County (see: “Thomas Clement Oliver: Underground Railroad Conductor”). Service records show that over 1,000 Black New Jerseyans participated in most of the battles and events during the final years of the Civil War, but after hostilities ended these same veterans often struggled for recognition and had difficulty obtaining pensions despite their service and valor (3). Church cemeteries are an important resource for African American history. Originally called the “Union Church of Africans of Baileytown,” Spencer UAME Church in Woodstown honors the memory of its founder, Peter Spencer, a freed slave from Maryland who, like Bishop Richard Allen, successfully established the first independent Black churches in America. Spencer UAME Church was well-established by 1818 when the core of the present sanctuary was built, placing it among New Jersey’s oldest African American congregations (4). 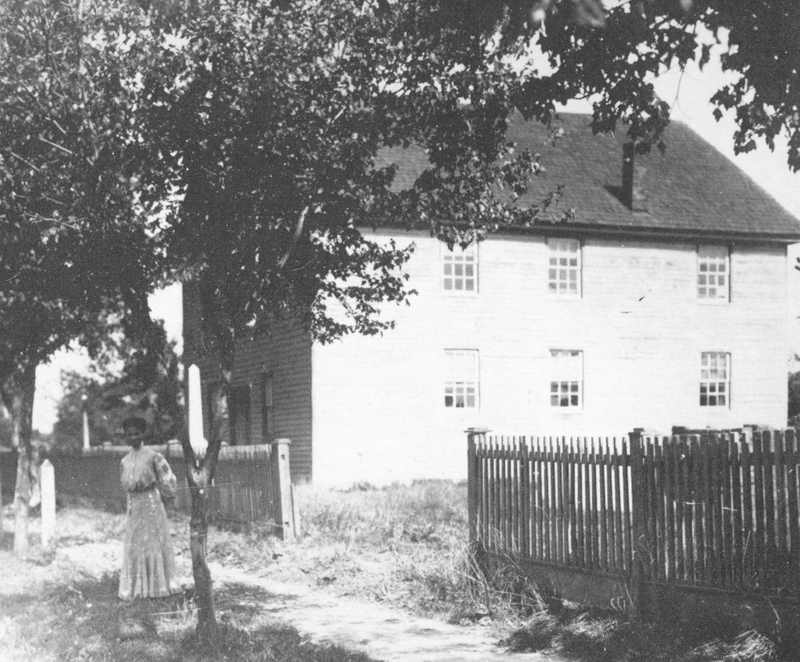 At least four Black churches and one mutual benefit society were active in Salem County prior to the Civil War. The County’s free African American community was active and organized, which was essential for the successful operation of the Underground Railroad. (1) J. Harlan Buzby, John Stewart Rock: Teacher, Counselor, Salem, NJ: Salem County Historical Society, 2002, 80. (2) Junius P. Rodriguez, Slavery in the United States: A Social, Political, and Historical Encyclopedia, ABC-CLIO, 2007, vol. 2, 241. (3) During the summer of 2011 the great-granddaughter of Sgt. Edward Richardson secured an official military tombstone for her great-grandfather’s grave. Read the story. (4) Josephine Jaquett, The Churches of Salem County, New Jersey, Salem, NJ: Salem County Tercentenary Committee, 1964, 42-43.